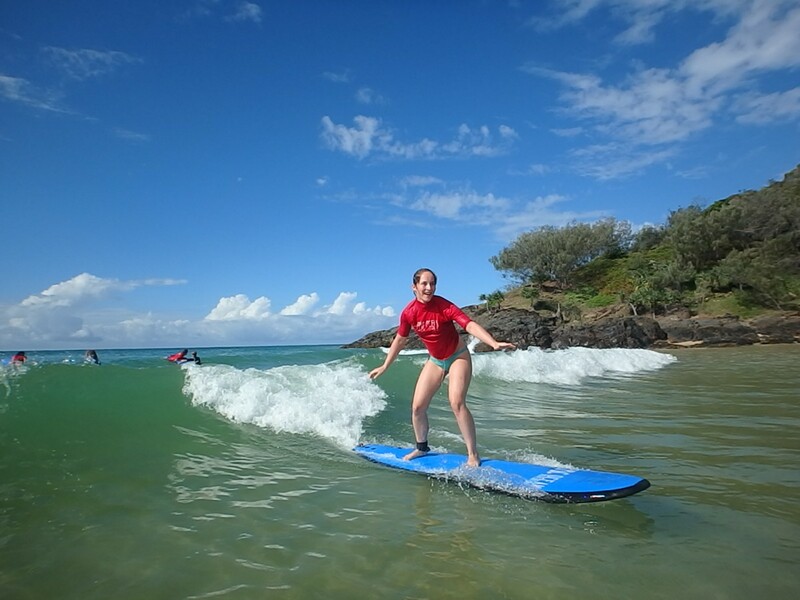 Rainbow Beach Surf School provides highly professional and super fun surf lessons at Rainbow Beach main beach and exclusively at the magical Double Island Point. The Original Rainbow Beach Surf School specilising in small group, family, kids and any surf instruction from complete beginner to advanced. 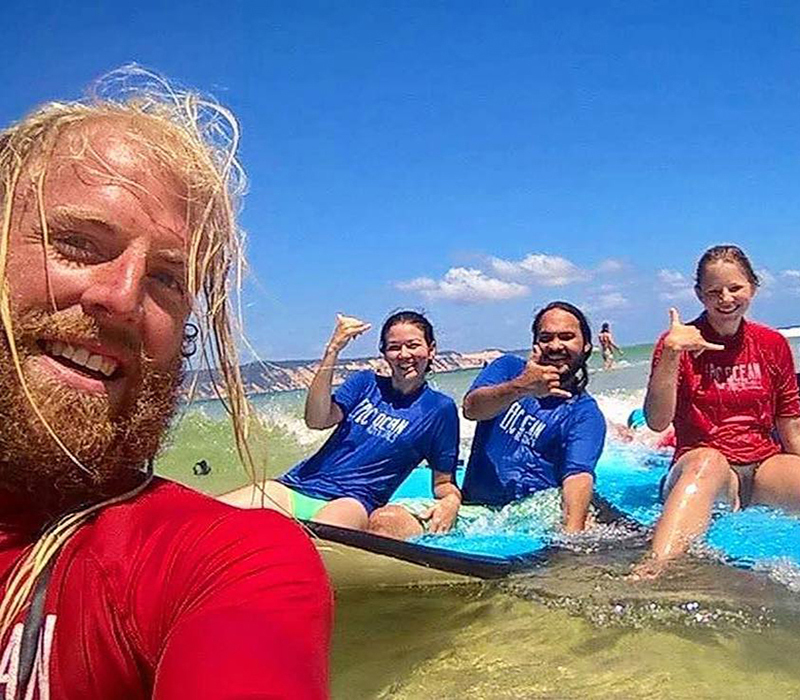 In Rainbow Beach, you will find the mood for surf, adventure, energy and positive vibes and our young and fun Aussie surf instructors are no strangers to you, just friends you haven’t met yet looking to give you the ultimate surfing experience at Rainbow Beach! 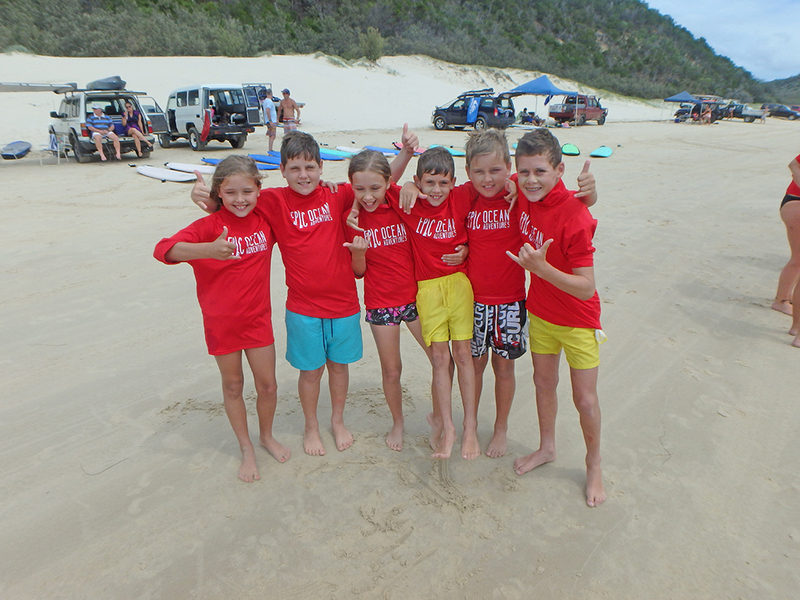 Rainbow Beach Surf School: Surf, make friends, have fun! This location is the ultimate learn to surf experience. Australia's longest wave only accessible by a 15 minute 4X4 drive along the beach. A hidden surf haven for beginner, intermediate and longboard riding. A popular spot for local crew. This unique Double Island surf experience is only permitted with us! 3 hour trip all inclusive. If you have already enjoyed your beginner surf lessons somewhere else or your are more advanced surfer just looking to hire a board and ride the wave of your life at Double Island then we offer a hire and ride option for you. 3 hour trip includes equipment, location tips and transport. Learn to surf at Rainbow Beach Main Beach! If you are on a low budget or dont have time to surf Double Island, don't worry! 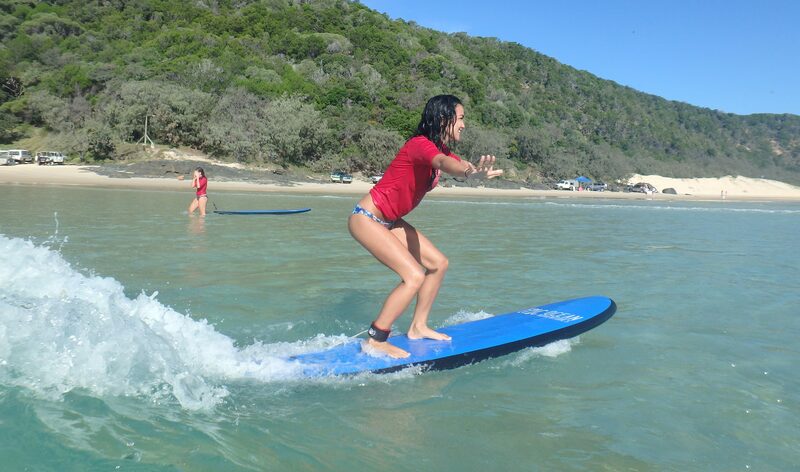 We can still have you surfing and having a blast with our very affordable surf lessons at Rainbow Beach Main Beach. 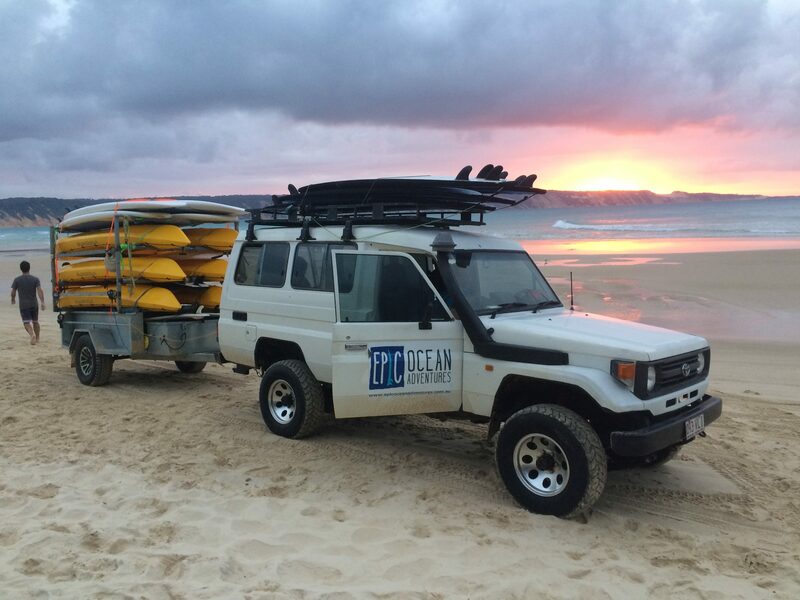 Why Rainbow Beach Surf School? 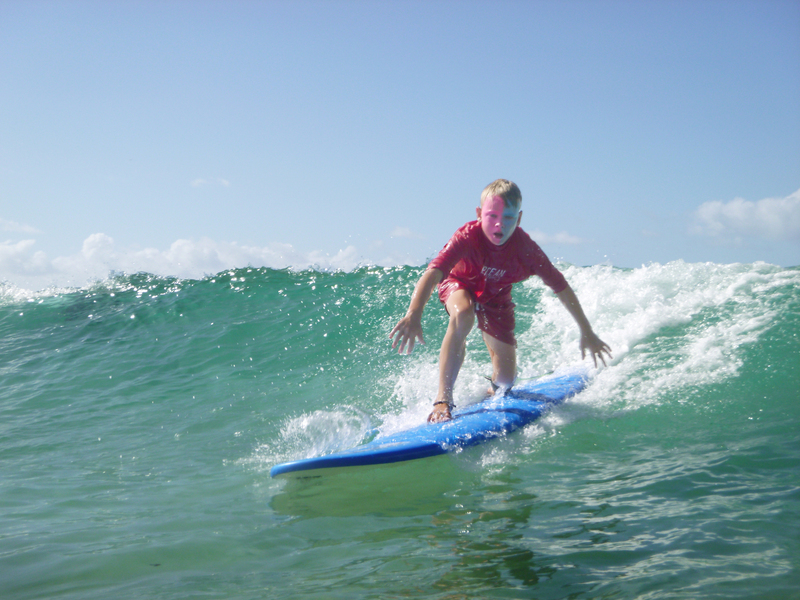 Our highly experienced surf coaches are fully qualified and make surfing fun. We are all passionate about surfing and are here to give you a rewarding surf experience and get you up and surfing fast! We are the only surf school to offer surf lessons at Australia’s Longest Wave – Double Island Point. You could be riding waves on your first surf lesson 100’s of meters long! Yes it’s true it’s that good! Best quality/price ratio. We have surf lessons and hire for all budgets. From 2 hours main beach to the ultimate Double Island surf experiences. Rainbow Beach offers you peace, quietness and magic landscapes and Double Island Point is home of Australia’s longest beginner waves! Don’t destroy what you came to enjoy. That’s our motto and that’s what we do. We respect nature. Only leave your footprints. Vince loves to share his expertise, ocean knowledge, and passion for all things surf. Often you will find him when his not teaching at DI or Tea Tree enjoy the waves with friends. With Vince your sure to have an unforgettable experience with his wicked sense of humor, knowledge and professionalism. 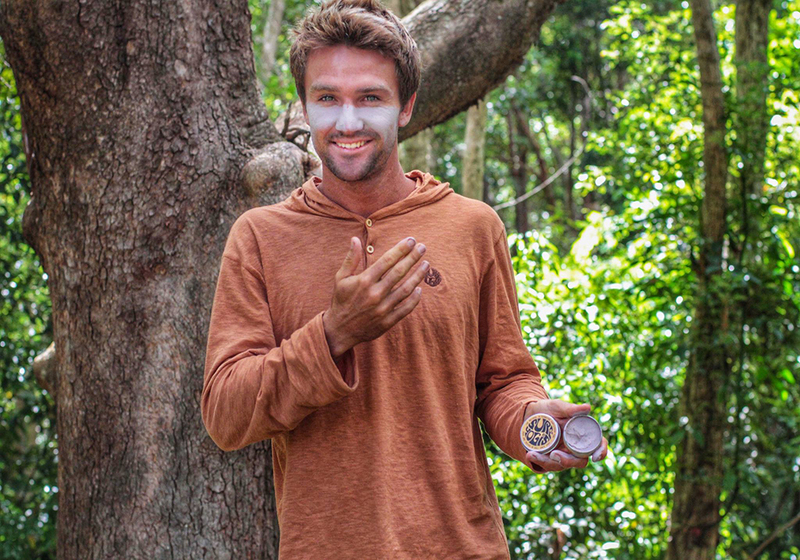 We welcome back talented surfer Rhys after some competing in South Africa and living the surfing life in Indonesia. We always receive lots of great feedback for Rhys's friendly nature and his expert surf guidance. 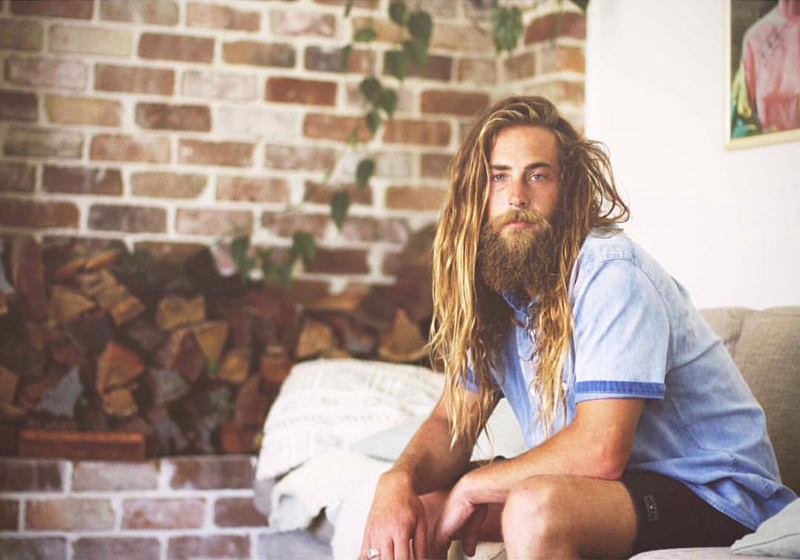 If your looking to bring your surfing to the next level Rhys is your man! Ethan joins the Epic team from the Sunshine Coast. A very good surfer and passionate about all things ocean. Plenty of fun times and stories to be had on tour with Ethan. Yew! Please feel free to contact us with any questions you might have. Whether you’re unsure about what kind of surf board is right for you, you have questions about our different surf options or need advice on surf conditions, our friendly shop team and surf experts are there to help! 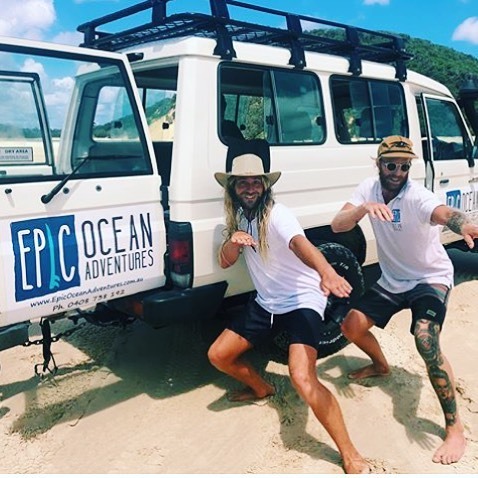 You can find us in the Epic Ocean Adventures surf shop in the main street of Rainbow Beach. The shop is not only the leading adventure tour operator in the region, we also offer highly professional and experienced destination information and service for all your holiday needs. Our super friendly booking staff can help you choose the best experiences. To speak with our booking and holiday planning staff please fill in the contact form and we will get back to you shortly.